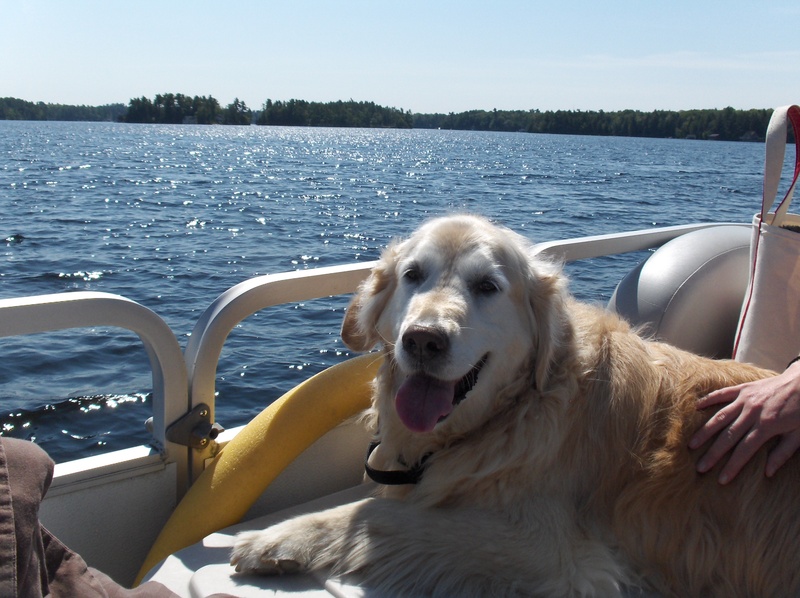 I recently received a wonderful email from a family in Toronto whose Golden Retriever, Mackenzie, was diagnosed with an aggressive form of cancer. Her story reminded me that no matter how bad things can seem sometimes, there is always reason to have hope, and often, our pups are so much stronger than we ever imagine. Thanks to a determined family that wasn’t ready to let her go, a great medical team, and Mackenzie’s willingness to keep fighting the good fight, she has become a perfect example of a pup who is beating the odds and who has surprised everyone with her success. So, I wanted to share her story with you in case you are in need of some inspiration and hope today. Mackenzie with her devoted mom Jenn. Mackenzie was 11 when she was diagnosed with a soft tissue sarcoma. The news was devastating. Mackenzie has been the love of my life since the day I brought her home when she was 6 weeks old. She has been my constant companion and best friend. Our vet sent us to an oncologist who we saw the day after the biopsy was confirmed. 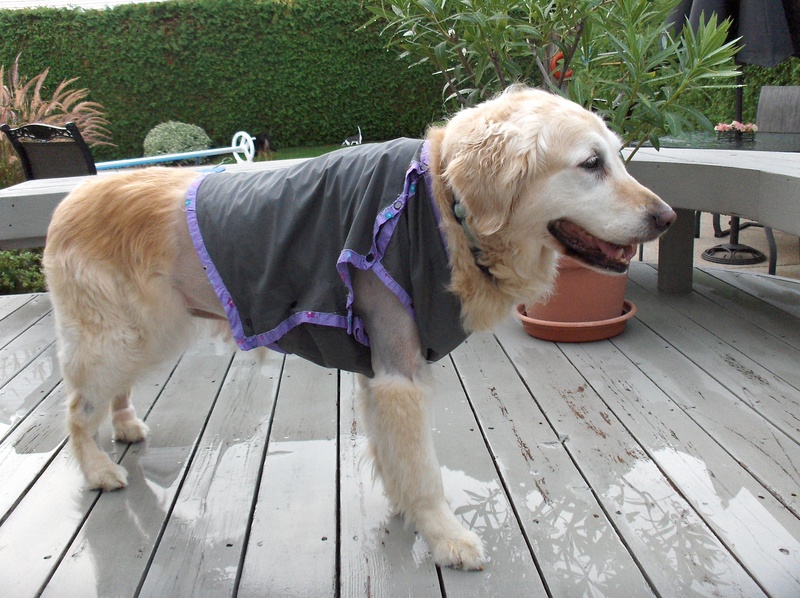 The tumour appeared almost overnight and our vet told us it was the fastest, most aggressive tumour he had ever seen. Within days of the tumour becoming visible to us – Mackenzie could no longer walk down the stairs and she was constantly out of breath and exhausted. The oncologist examined Mackenzie and she was seen by two surgeons who said they could not operate because of how big and where it was. Our oncologist starting talking to us about our options of managing pain and that we had very little time left. At that moment my heart shattered into a million pieces and I could not comprehend that I was about to lose my girl to this. We had one last hope — a surgeon in Ottawa, Dr. Julias Liptak at the Alta Vista Animal Hospital in Ottawa who specializes in surgical oncology. Three days later – we made the six hour drive with Mackenzie to see Dr. Liptak Monday morning. Because her ribs were impacted and the size of the tumour was so big the decision was made to do a debulking surgery. Trying to obtain clean margins would be too invasive and put Mackenzie at risk. Ribs would potentially need to be removed, but Dr. Liptak assured us this created no more risk – just a longer recovery. The surgery was performed, and Dr. Liptak was able to remove the tumour without having to remove any ribs. Mackenzie stayed the night and the next day was well enough to make the long trip home. 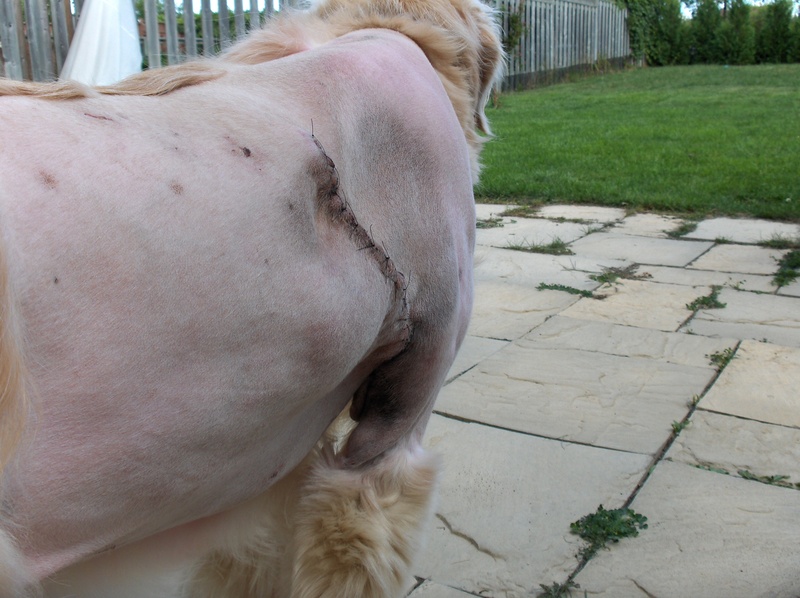 Mackenzie’s battle scars from surgery to remove her tumor. Mackenzie modeling her custom made shirt to protect her while she healed. The biopsy results came back a week later and unbelievably – confirmed we got clean margins! Mackenzie followed up with the oncologist and she has been on a daily low dose of oral chemotherapy and monthly rechecks with her oncologist. She is managing the chemo very well with no side effects and there has been no reoccurrence of cancer. I can’t believe that last August we were preparing to say goodbye and 8 months later I had the joy of another Christmas, and a birthday (Mackenzie is now 12) and she is thriving. Happy, playing, running around and enjoying life. 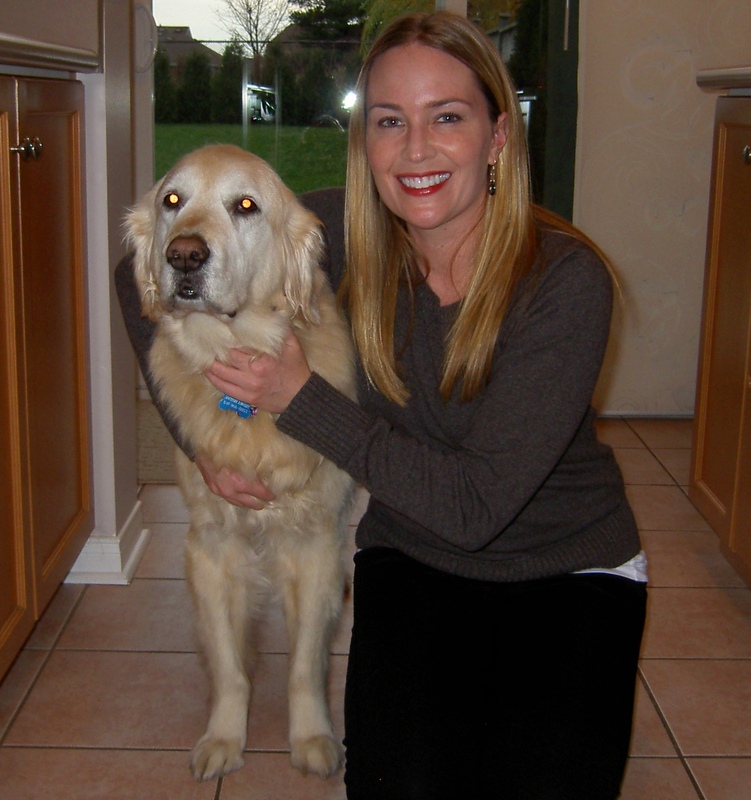 Mackenzie now – happy, healthy and enjoying life as a cancer survivor. Dr. Liptak saved her life. He is an angel and every day I am grateful for him and the gift he has given me. He is a wonderful, caring and supportive surgeon and we could have never navigated through this without his life saving surgery and ongoing support. I hope this story offers some hope and peace to others trying to navigate through this journey. This entry was posted in News, Stories of Courage and tagged alta vista animal hospital, canine cancer, dog cancer, golden retriever and cancer, julias liptak, soft tissue sarcoma, veterinary oncology. Bookmark the permalink.